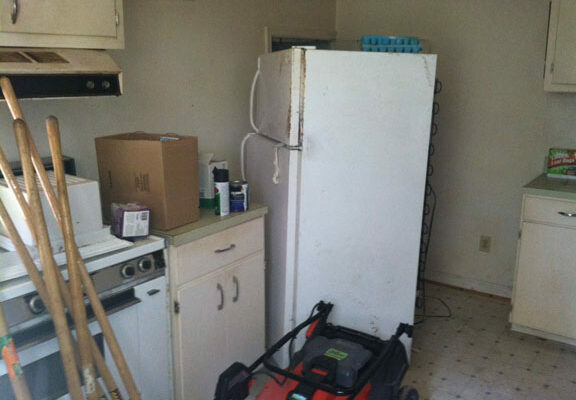 Check back each week as we add photos to this album. 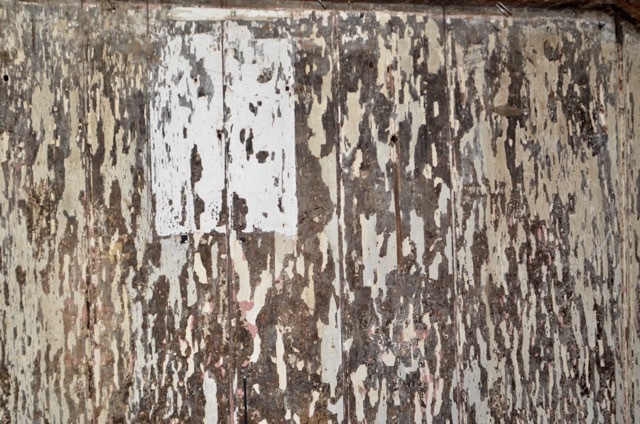 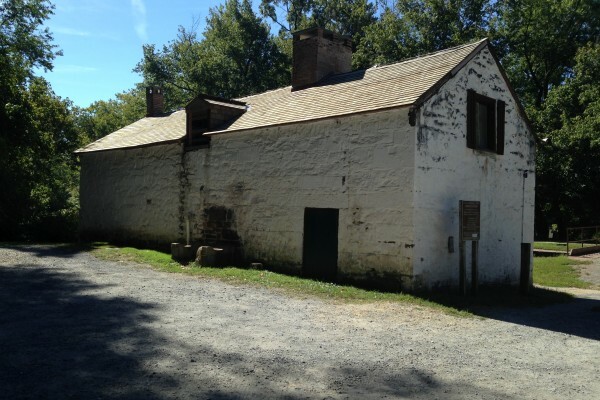 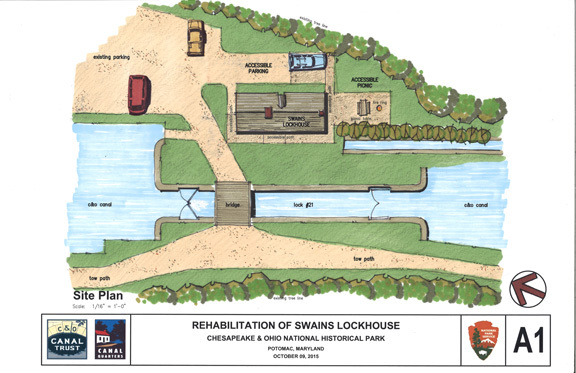 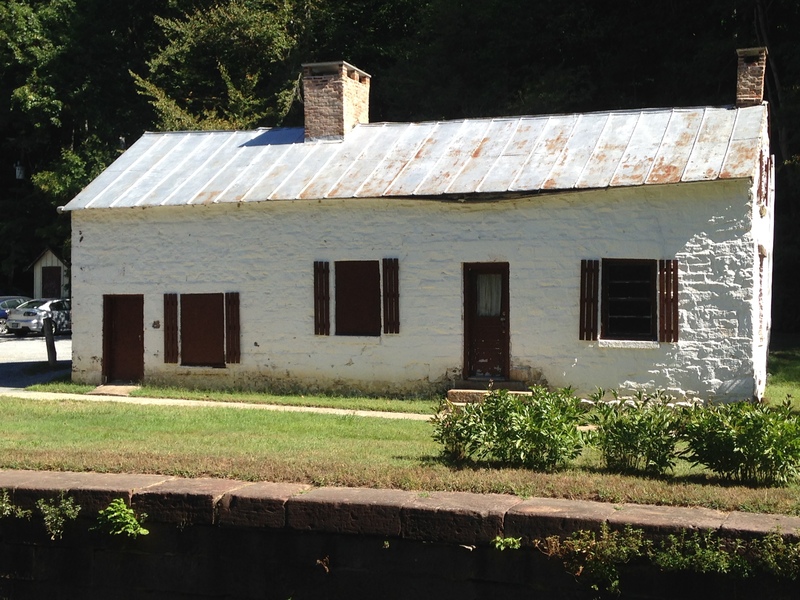 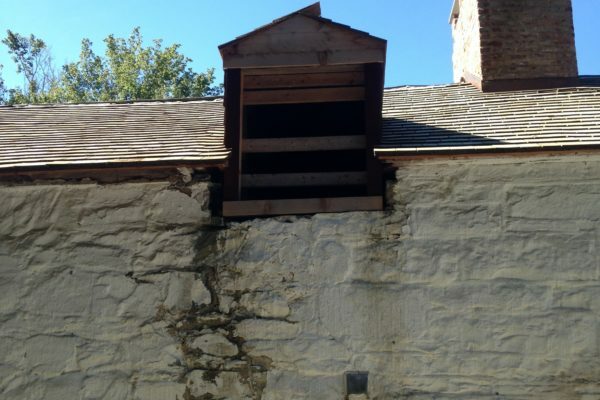 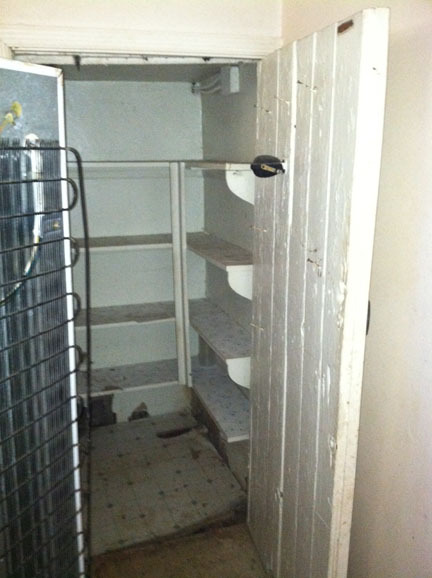 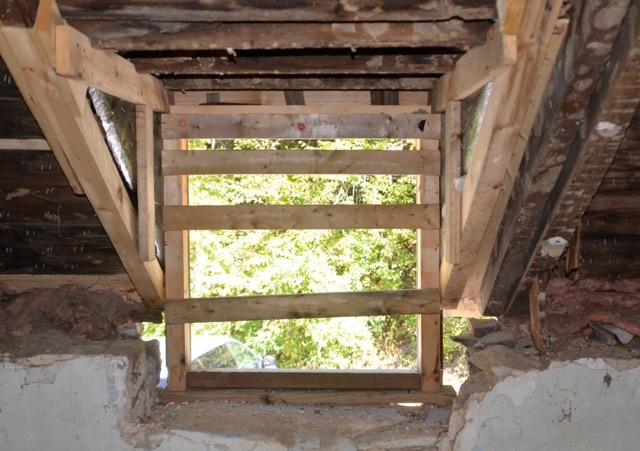 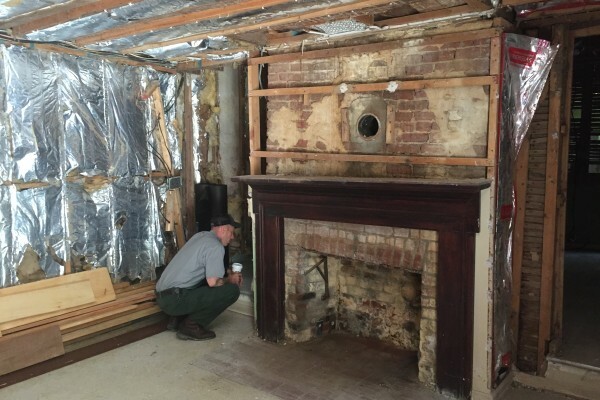 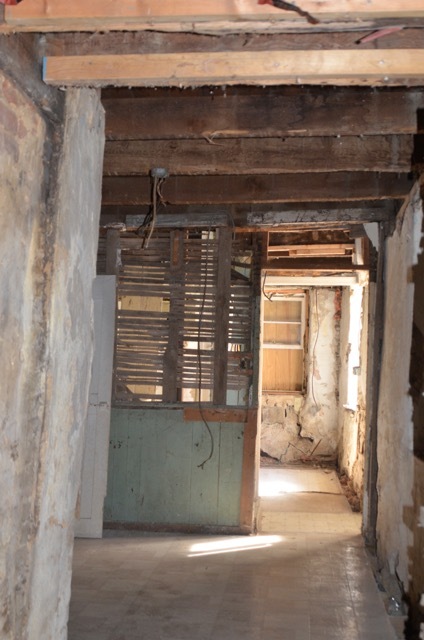 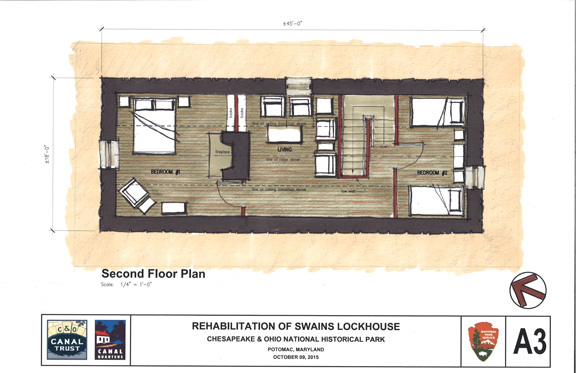 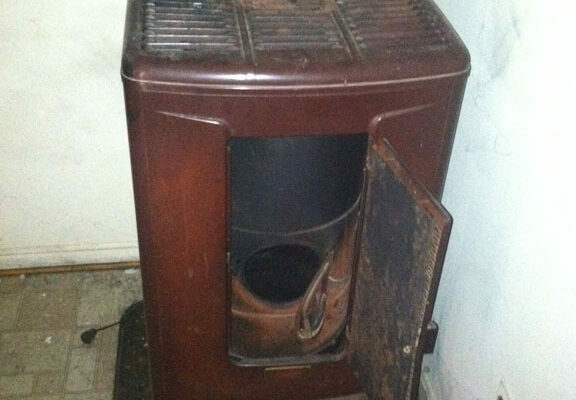 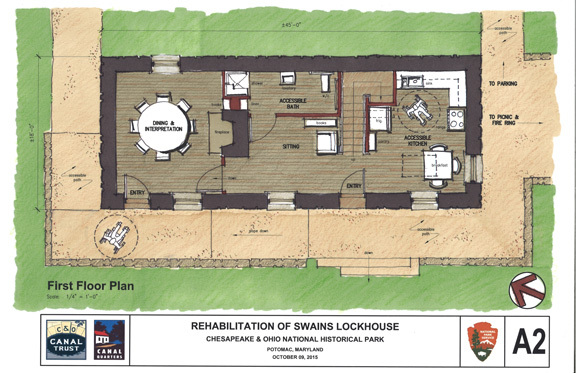 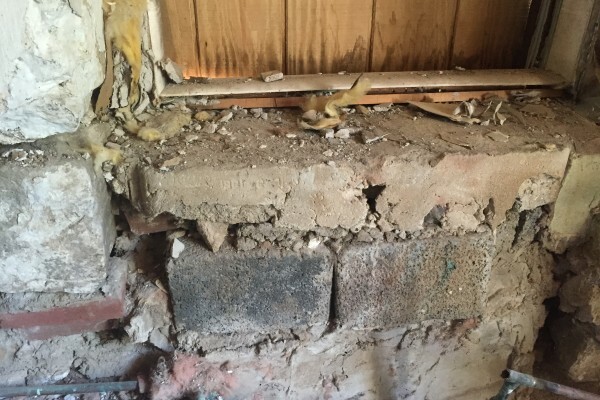 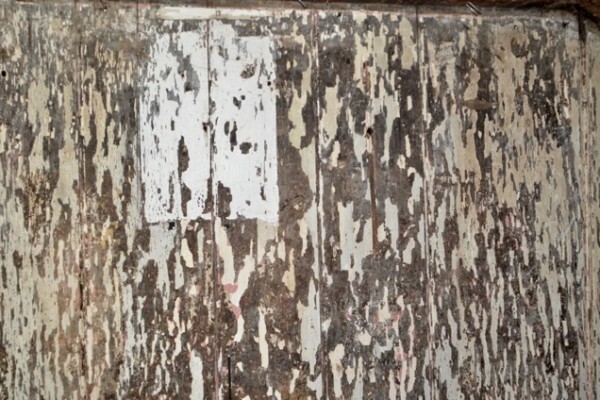 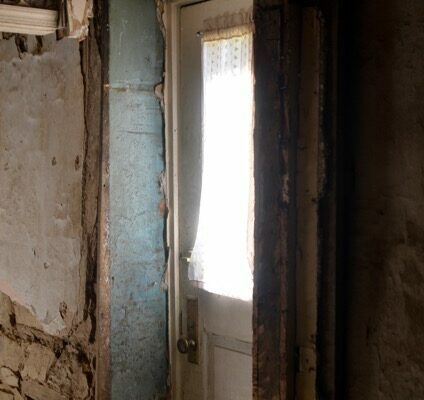 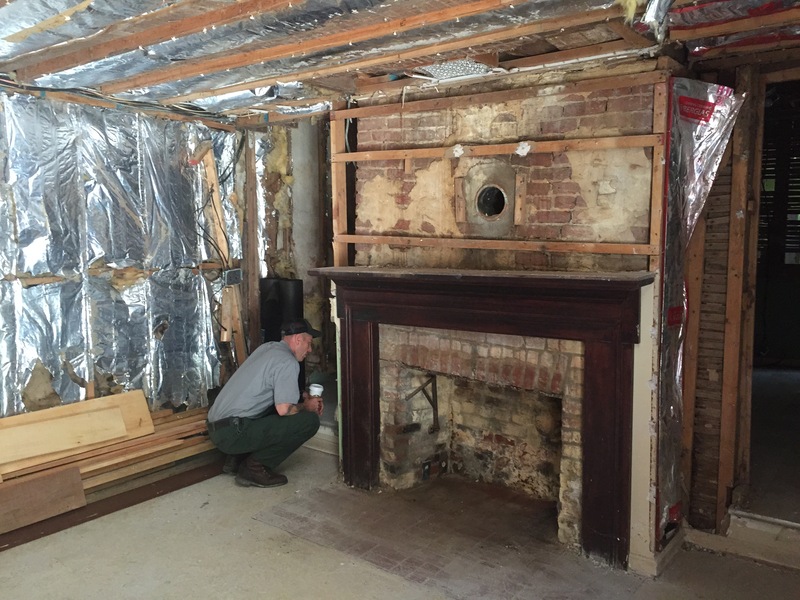 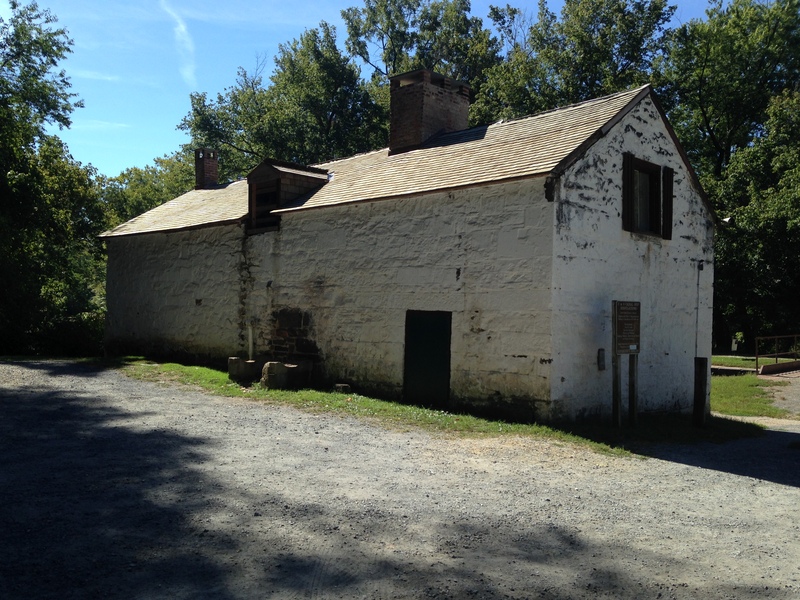 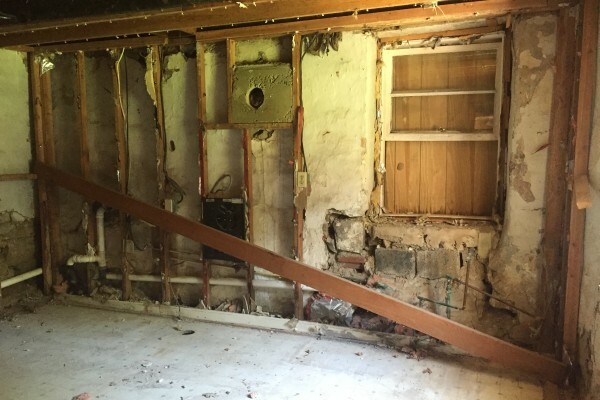 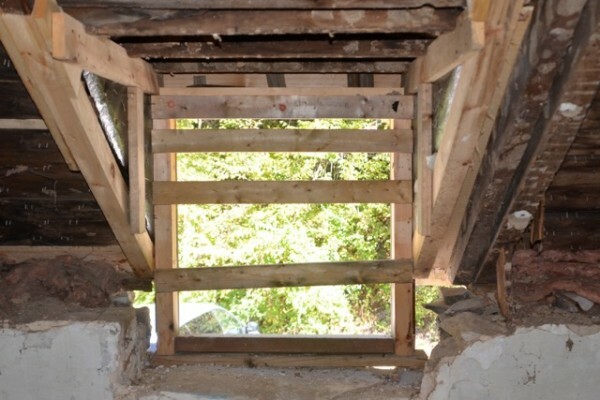 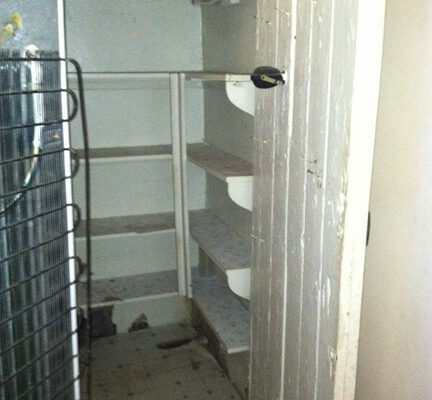 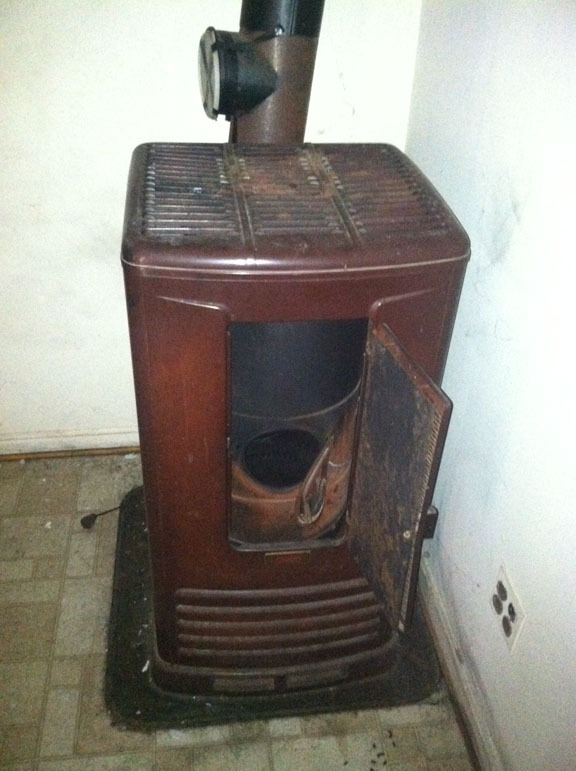 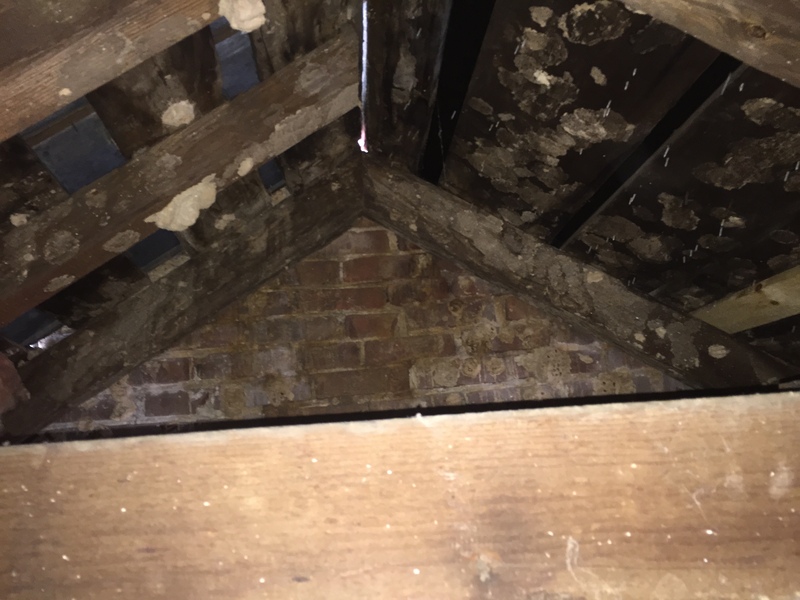 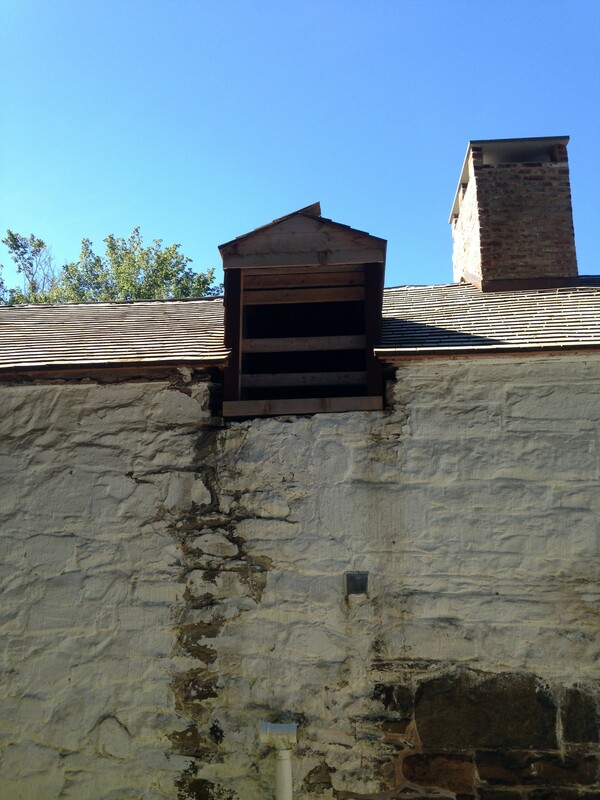 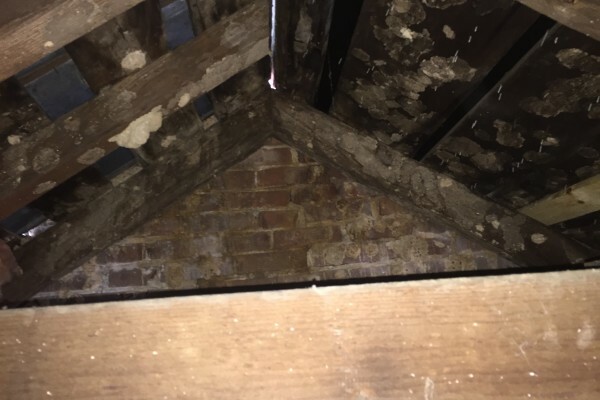 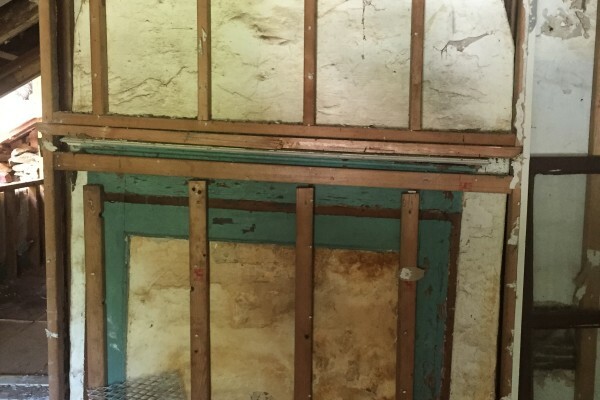 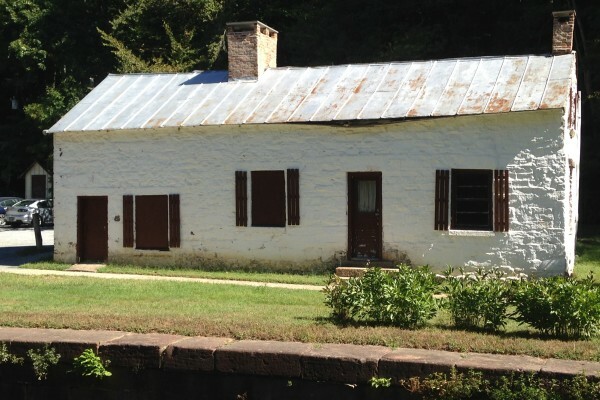 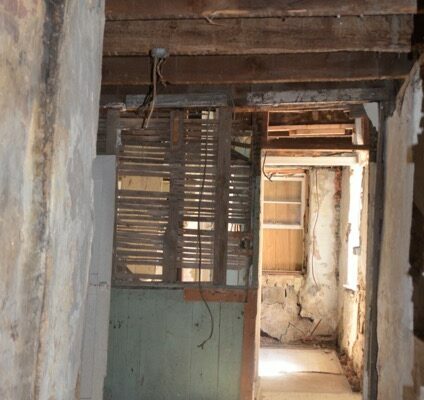 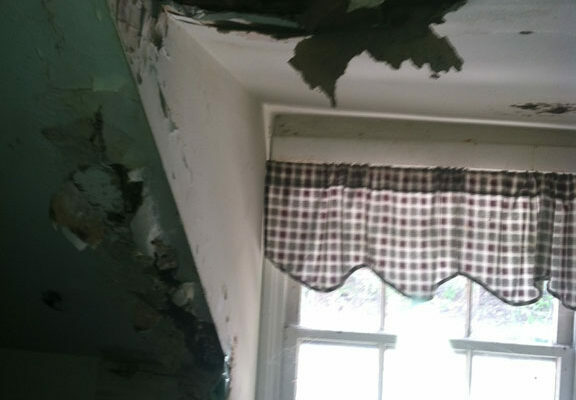 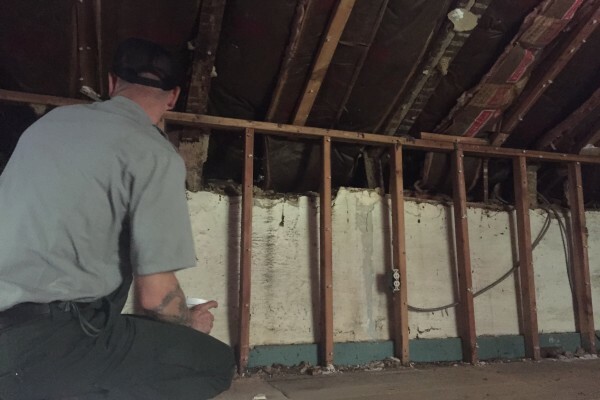 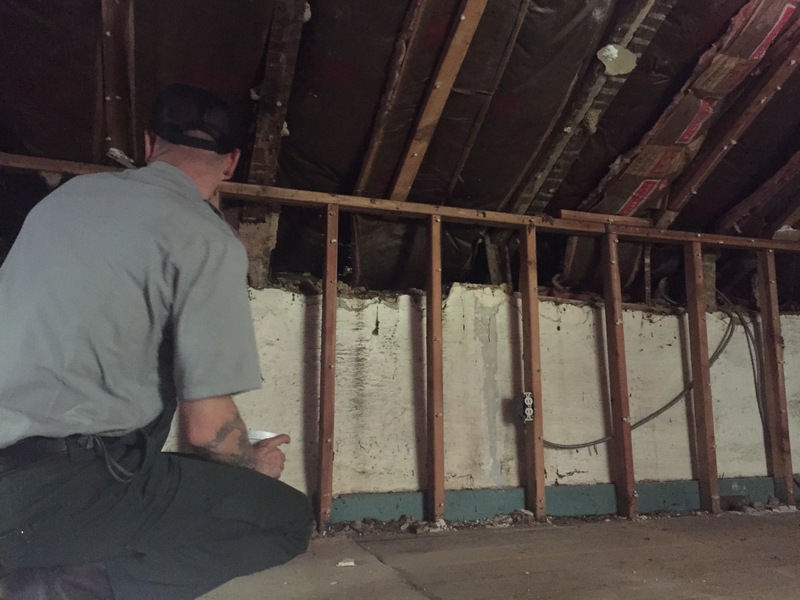 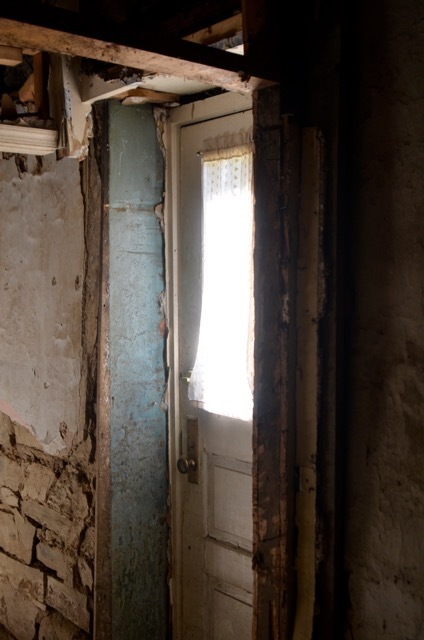 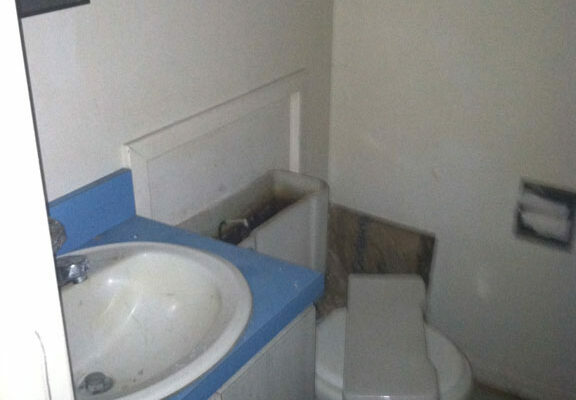 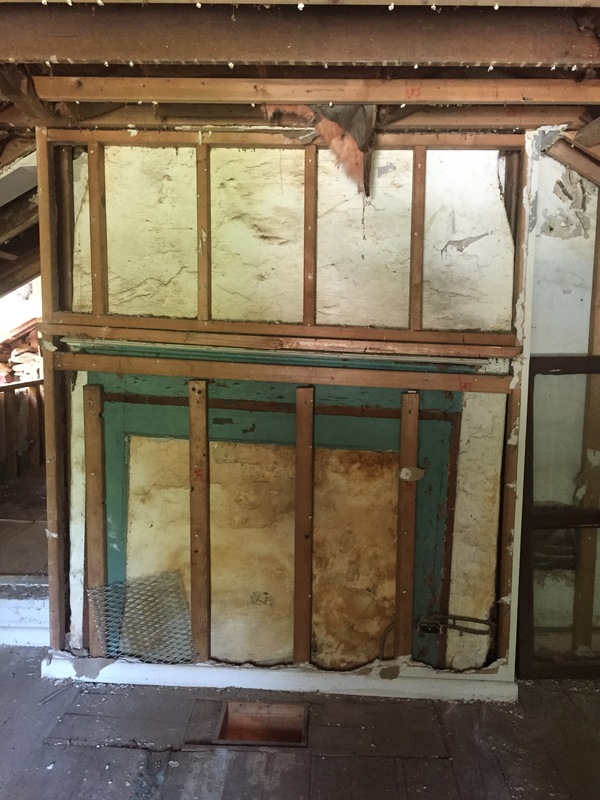 You can also read our weekly blog posts that document the rehabilitation of Swains Lockhouse. 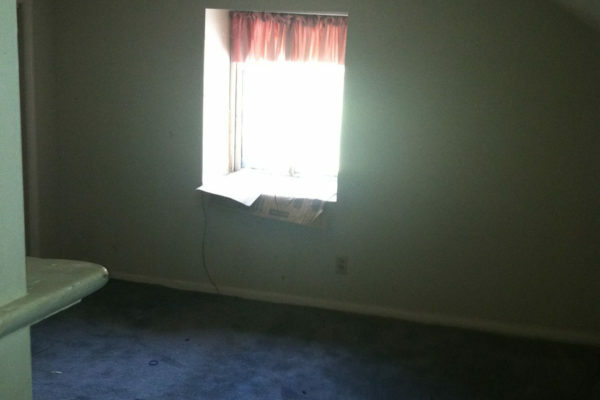 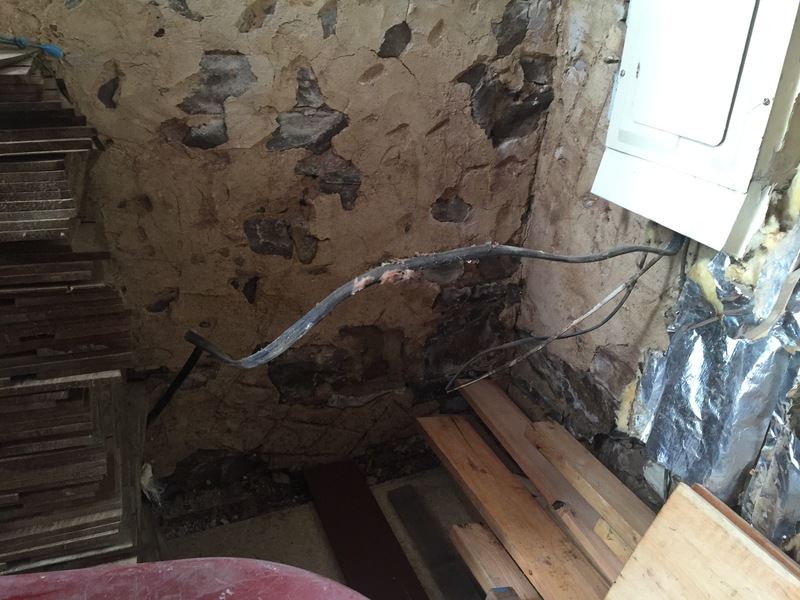 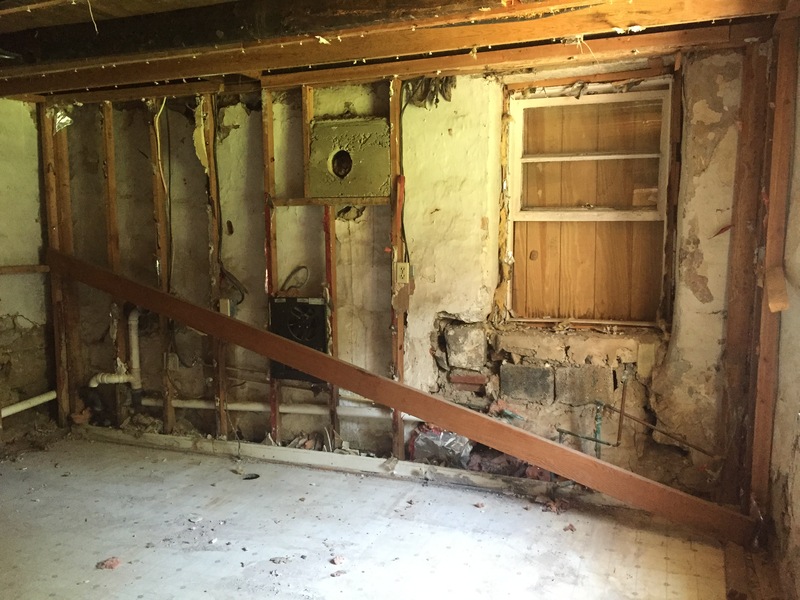 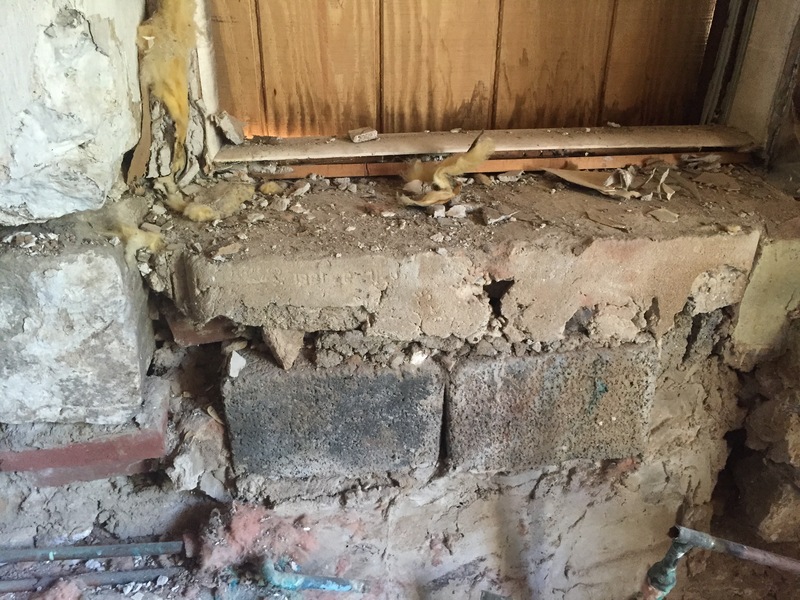 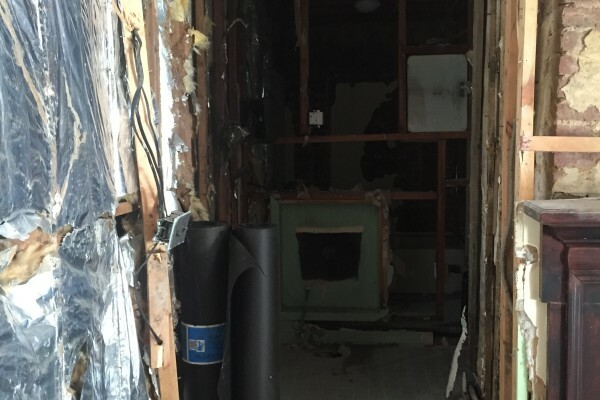 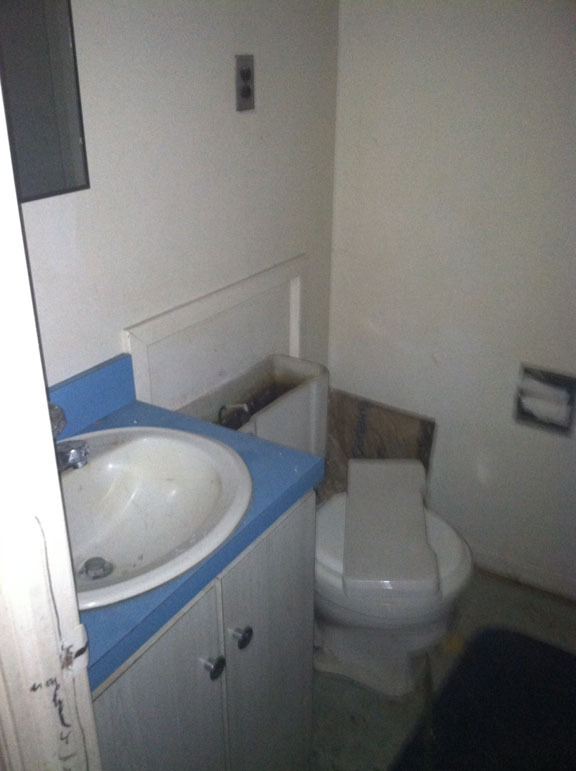 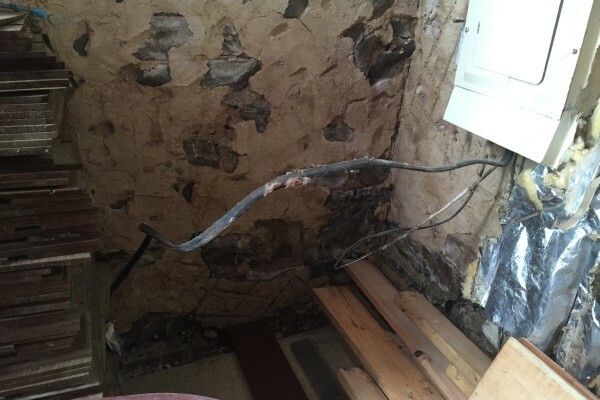 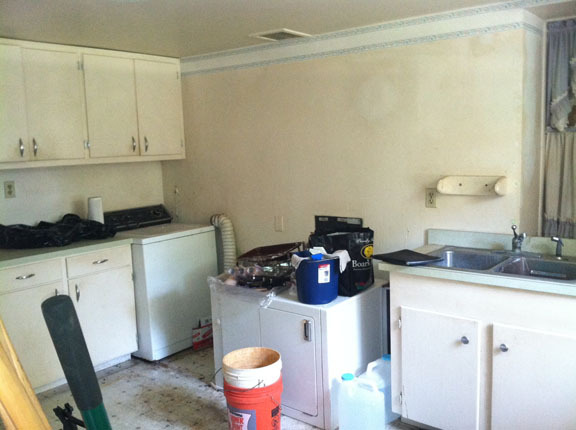 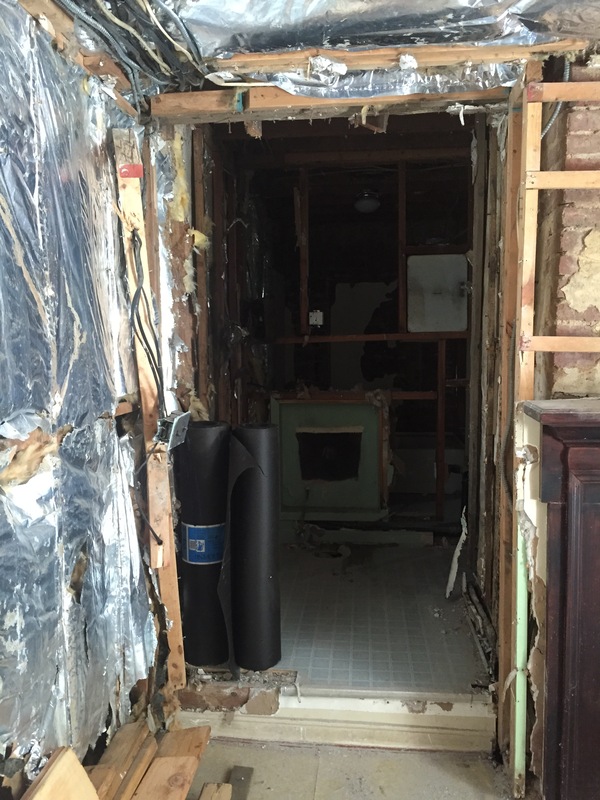 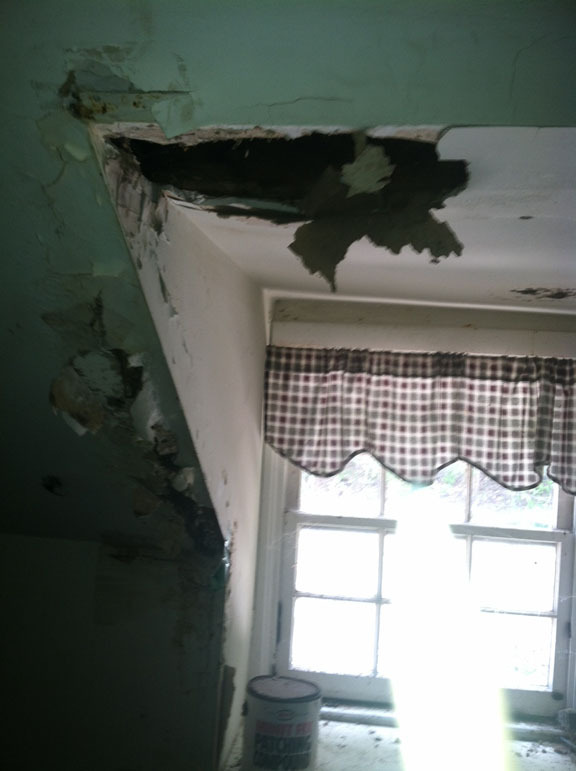 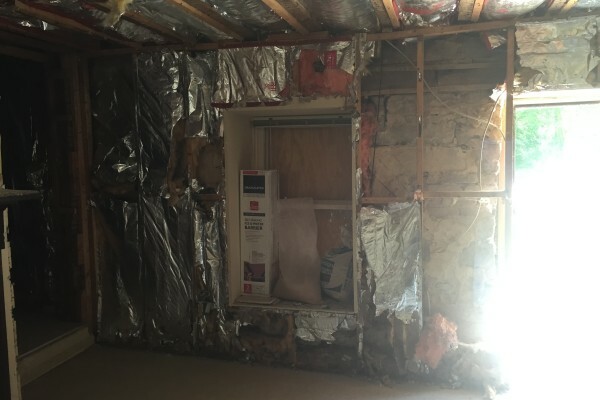 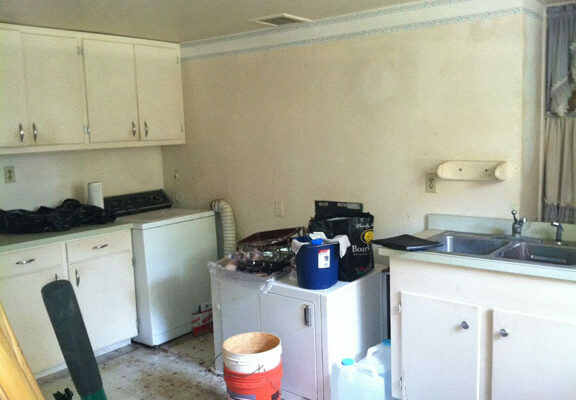 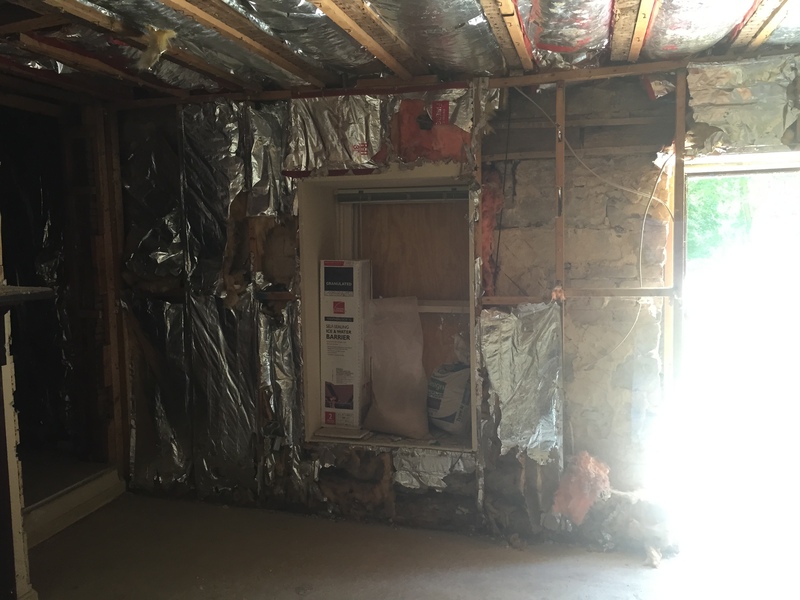 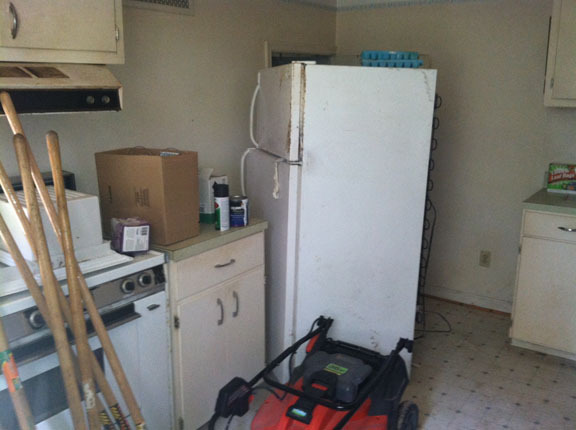 Post-demo: Downstream wall in kitchen, with water-damaged window base to right. 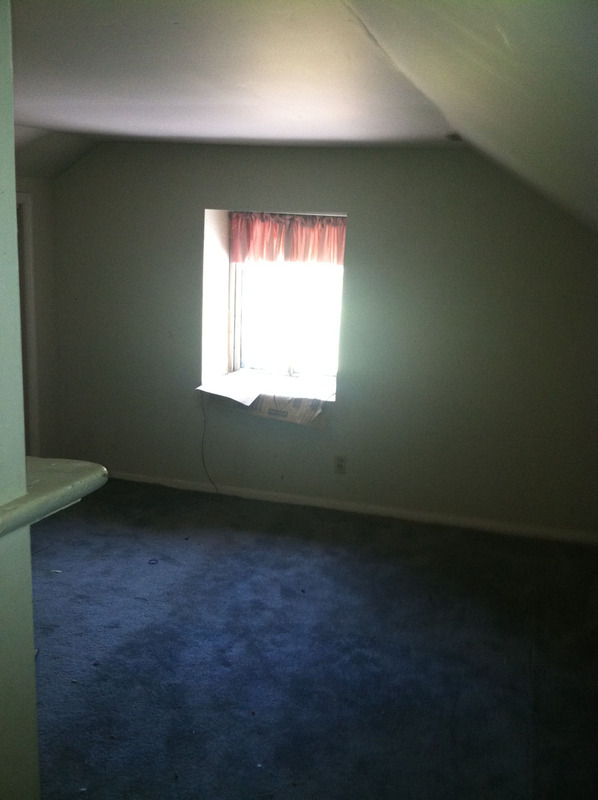 Second Floor Plan Highlights: *Large bedroom with fireplace (non-working) *Second floor living area *Smaller bedroom with twin beds.